A marvelous abundance of clock widgets is collected in the Google Play Store, and therefore it isn’t an easy task to choose something worthy. However, if you try, you can find really interesting, useful and beautiful things. Do you want to make the design of your smartphone truly unique and inimitable? Before you start long searching, we recommend paying attention to the best seven clock widgets apps with seconds listed below. Do you want to personalize your phone? 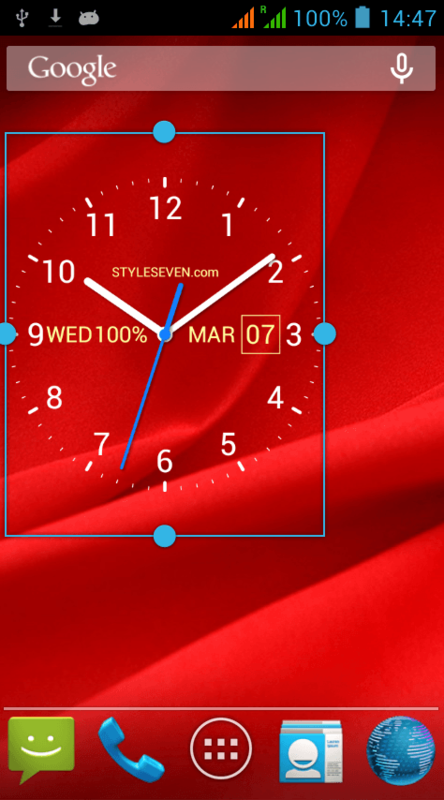 Download this widget and set a stylish clock on the screen! The program has a few clocks with a date. You can optionally set seconds and change the font. The features of the application include the possibility of individual settings. Pre-watch the clock during installation and select the action when you click on the widget to set the alarm. The utility allows you to select your preferred colors and adjust the effect of the shadow. Make regional settings in your own language, set the desired date format and alarm icon and select a background with a choice of colors and transparency. It contains 40 stylish fonts that are stored on the memory card. The application can be installed on the smartphone and tablet. 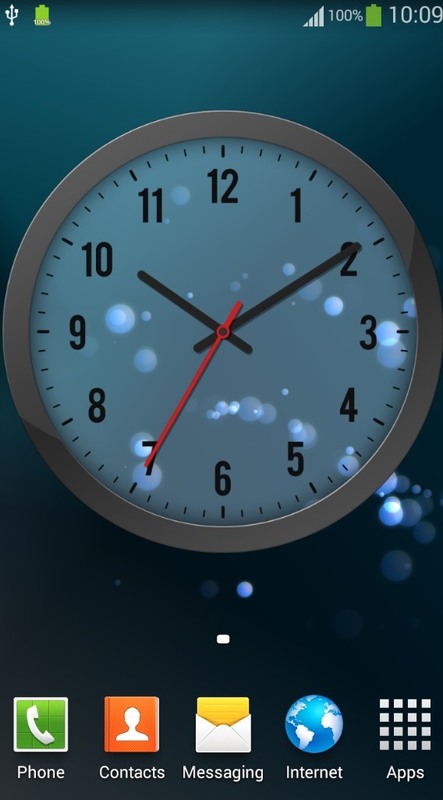 Analog Clock Live Wallpaper-7 – decorate your phone screen with an analog clock styled as a live wallpaper, make your device original and unique! Download the widget, set the live wallpaper, call the menu with one long tap of the finger on the screen. 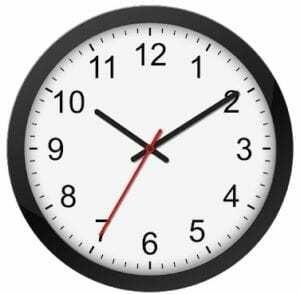 The clock supports 12/24 format, shows the day of the week and the month in the preferred language. In the settings, you can select the primary and secondary colors, as well as the coloring style — solid or gradient. Adjust the size of the clock, view the current date, change the color of the logo, align the clock horizontally or vertically. Can be used as live wallpaper or widget. This is a top application that saves battery and mobile traffic without taking up much space. 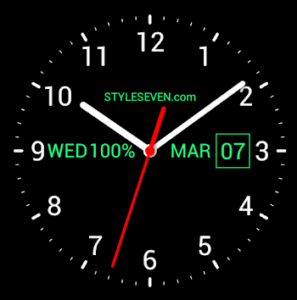 If you know how to use analog clocks and are looking for beautiful widgets, then, by all means, take a look at the Analog Clock Wallpaper/Widget. Here, you will find everything you need for your home screen. Along with the live wallpaper, in the kit, there are also two widgets of 2×2 and 3×3. You can apply 54 different themes to them. You can also set any background for live wallpapers or simply fill them with a beautiful gradient. The advantage of widgets is that they can be scaled as you like, i.e. you can easily stretch one widget to the full screen (unless the quality of the clock itself will be not so good, but they will not lose the information content). In the settings of live wallpapers, you can change the theme of the clock, turn on/off the animation of the second hand, select any picture from the gallery. Widgets can also be quickly customized, just call the pop-up menu by clicking on the widget once. Analog Clock Wallpaper & Widget is a very huge collection of really beautiful analog clocks that will delight you with various styles and easily decorate any phone’s screen. Widgets are optimized for tablets, so they will delight their users with full HD quality. My Name Clock Widget makes the home screen of your phone unique and personalized. It has an intuitive interface and is battery friendly. Everything is customizable. You can choose the perfect size for yourself: small, medium, large or huge. 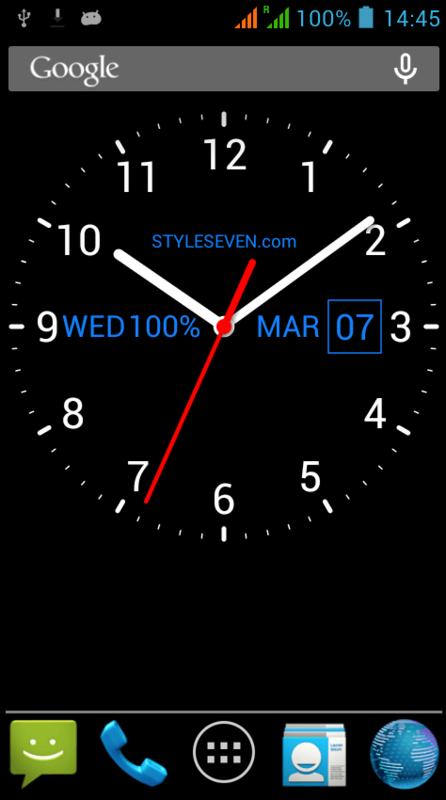 Adjust colors for the clock and its name, customize the clock opacity, enable the second hand. There is also a huge library of beautiful themed wallpapers for you to match it with your clock widget. If you like widgets that don’t contain a lot of extra information, are simple and at the same time quite beautiful, then this option is for you. This app works great and has a good variety of styles to choose from with the optional style packs. Another simple clock widget with seconds that can really enliven the look of your home screen. It is both simple and very beautiful, modern and timeless. Thanks to minimalism, this widget fits into almost any desktop. All that it can display is the time, date and day of the week, but it looks very beautiful. You can choose the format for displaying the time and date, there are still some settings. Modest, but with taste. Very simple and beautiful analog clock widget. No complex customization is provided. Just drag chosen clock style from the widget list. Details worked out well, the second hand and the clock itself works like a real analog clock. There are several styles of widgets to choose from. You can adjust graduation and additional graduation colors in settings. Note: Resolution affects the quality of the clock widget. Try lowering the resolution if there’re performance issues. Watch the slow pace of time – and enjoy!